iMobile, the most comprehensive and secure Mobile Banking application, offers over 100 banking services on your mobile. Debit Card reissuance and debit card PIN generation. Service At Your Convenience: Avail banking services from the comfort of your home. 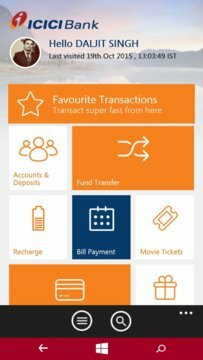 You can locate an ATM, stop or check status of your cheque, order a cheque book, track your service requests and more. 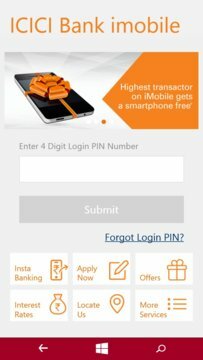 For more details on ICICI Bank Mobile Banking visit http://www.icicibank.com/mobile-banking/index.html.